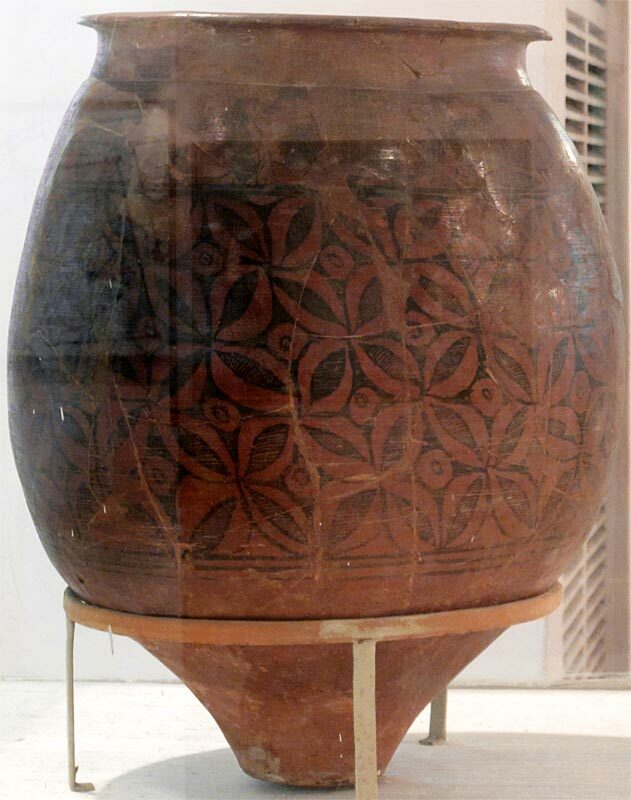 Large Indus pot from Chanhudaro found 1935-36. In the coming months we will feature a number of posts on the site known as Chanhudaro, in Nawabshah, Sindh. This is one of the most interesting and highly-sophisticated "small towns" of the ancient Indus Valley, and has only been systematically excavated once previously, under the supervision of Ernest Mackay, in the 1930s. 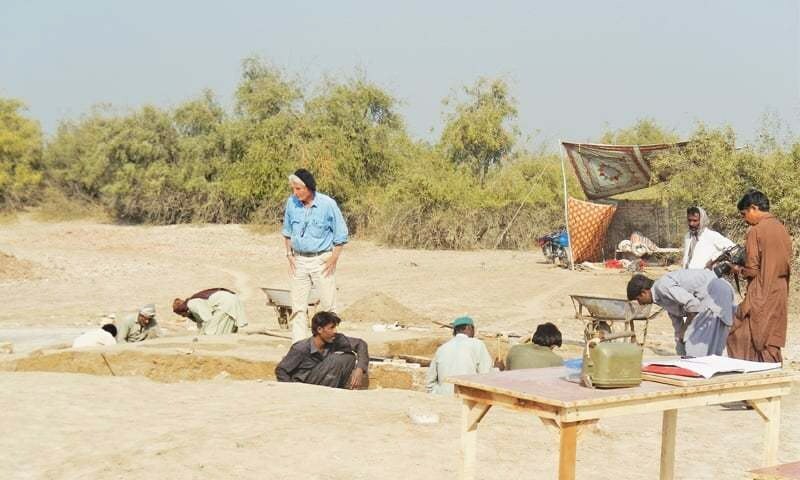 Since 2015, a French-Pakistani joint archaeological mission has started excavating the site again. There are two news reports, and now videos, of the work that has re-started. Dr. Aurore Didier, who heads the French archaeological mission, has said that the mission would continue this work until 2020, with annual, on-site excavations for five-six weeks every year. An interesting point to note is the name of the site. The archaeological literature has always used the name "Chanhudaro" or "Chanhu-Daro". The Sindhi name, however, is "Chanhiyun Jo Daro" (cha-neeh-un jo da-ro). This is even mentioned by Mackay in his 1935-36 report, where he says: "the name Chanhu-daro is derived from the names of two sisters, Chanhiyun and Bohiyun, of whom nothing else is known; daro in Sindhi means a 'place'." 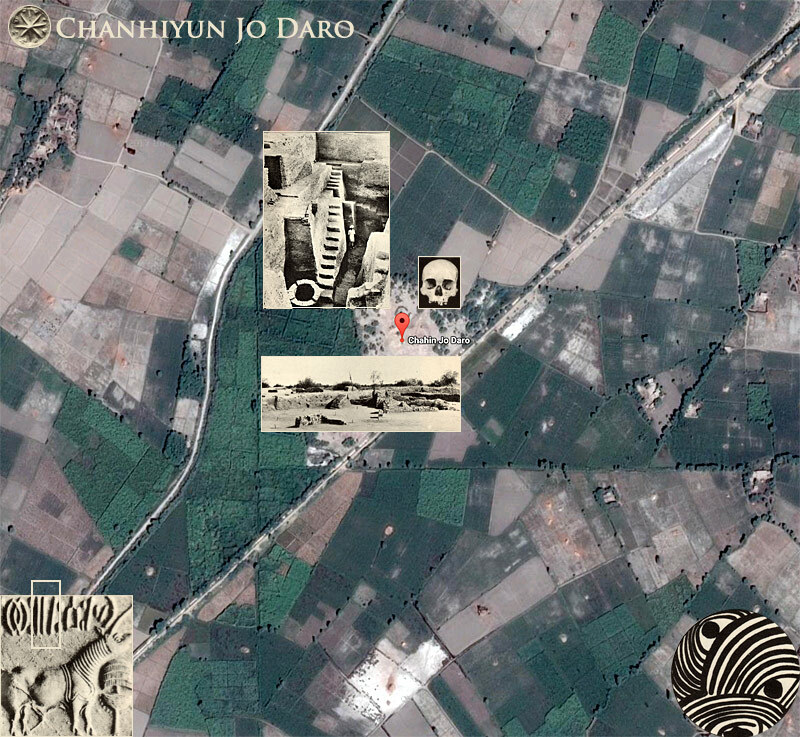 So the name Chanhiyun Jo Daro means "Place of Chanhiyun". "But before filling the land, they found old structures and a large number of artefacts including beads, bead-blanks, and bead-drills and toys, which indicated that Chanhiyun Jo Daro had been a manufacturing site during the Harappan era." These discoveries showed that the site was an ancient industrial hub that supplied terracotta products to the then major cities of the Indus Valley Civilisation, especially the ones situated at Moenjodaro and Harappa. Calling the ‘golden period’ (2,500BC-2,300BC) as the first period of the Indus Valley civilisation, the French archaeologist said the site was either contemporary with Moenjodaro or predated it. She said pottery factories had been found in one part of the site, while ‘apartments’, houses and a large ‘monumental’ building had been discovered in another part of it. Dr Didier was impressed with its drainage system and said many antiquities found at the site bore resemblance to those spotted at Harappa and Moenjodaro." We look forward to the results of these exciting excavations. Posted on Youtube recently is a Geo News video interview with Dr. Didier and the team at work in Nawabshah Chaion Jo Daro by Asad Bukhari. There is also the brief but real ChaHoon Jo Daro Nazar [Visit] Group. 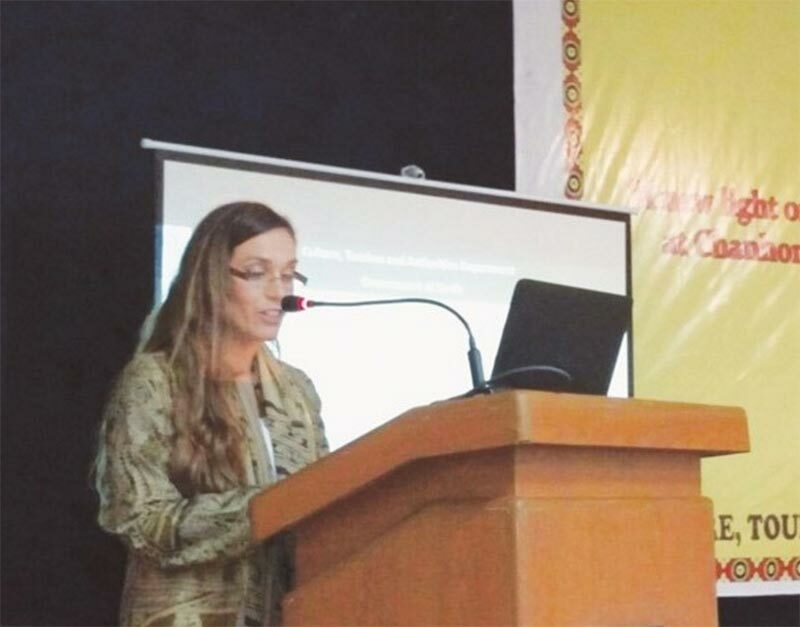 News reports are available from an article on the visit by the consul General of France in Karachi's , as well as from the Mohenjodaro conference held in February . Almost unique among early Indus sites excavations, Mackay's complete excavation reports from 1935-36 are available online Chanhu-Daro excavations 1935-36 (1943, 460 pages).